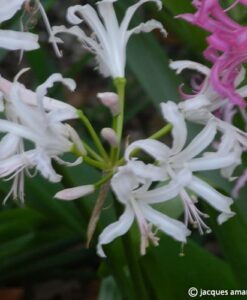 White flowers with pink stripe down the centre of petal. 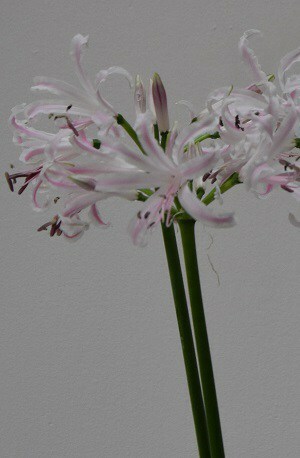 Flowering period: September to November.High 50-60cm. 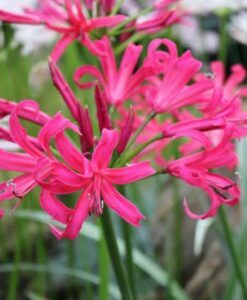 Plant the bulbs immediately on arrival in a sunny well drained position just below the surface and ideally against a south facing wall. 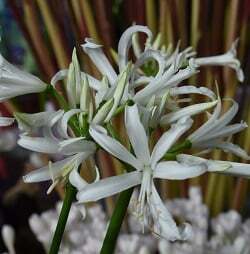 For best results, they should be left undisturbed except for propagation purposes. 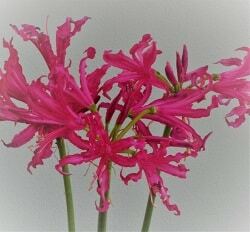 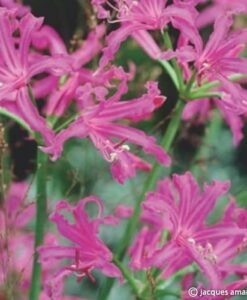 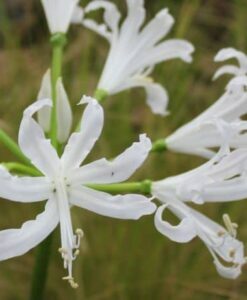 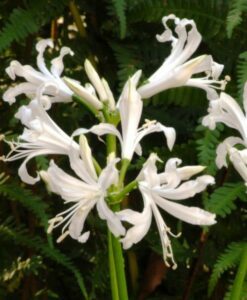 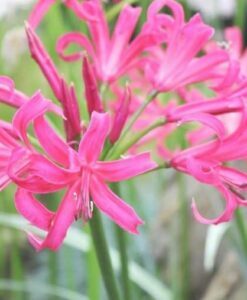 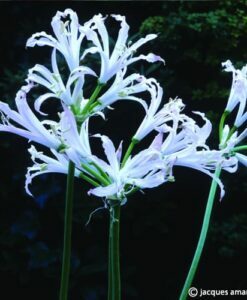 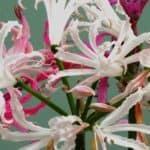 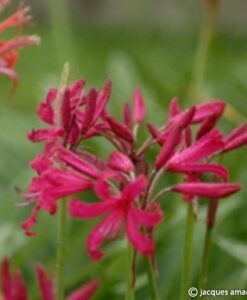 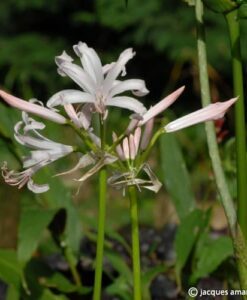 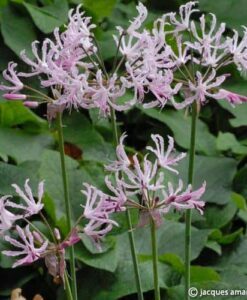 Nerine bowdenii and its varieties are frost hardy species, the others need protection from the frost.